Nikon Corporation (Kazuo Ushida, President, Tokyo) is pleased to announce the release of the new N-SIM S Super Resolution Microscope, which enables super-solution imaging of live cells at ten-times the speed of conventional SIM. N-SIM S is powered at its core by the ECLIPSE Ti2-E Inverted Research Microscope, taking advantage of its advanced optics, superior stability and intelligent features. N-SIM S will be exhibited at the "Focus On Microscopy" international conference for cutting-edge optical microscope technologies in Singapore from March 25 to March 28, 2018. The limit of standard optical microscope resolution is approximated at 200 nm. In 2010, Nikon released the N-SIM Super Resolution Microscope, which achieved twice the resolution of conventional optical microscopes. N-SIM has contributed in advancing our understanding of macro-molecular structures and their interactions, enabling insights previously unattainable due to the resolution limit of conventional light microscopes. Nikon's new N-SIM S Super Resolution Microscope provides the next level of super-resolution imaging by providing high-speed image acquisition, enabling imaging of live cells and dynamic events. N-SIM S combines high-speed acquisition and nanoscale imaging capabilities whilst maintaining a user-friendly imaging workflow, providing a true innovation in live-cell imaging technology. Nikon has developed a novel high-speed, structured illumination system to enable imaging at rates of 15 fps (ten times faster than conventional models (1.6 fps)), or ~0.067 seconds acquisition time per super-resolution image. This high-speed imaging capability enables super-resolution observation of dynamic events in live cells. N-SIM S provides streamlined workflows and improved operating efficiency by automatically switching between observation methods and optimizing acquisition parameters, so users can focus on their research. 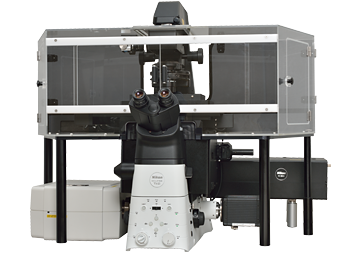 N-SIM S takes advantage of the ultra-stable ECLIPSE Ti2-E Inverted Research Microscope platform designed for super-resolution imaging. Combining stability designed for super-resolution imaging and Nikon's fourth generation auto-focusing system, the Perfect Focus System (PFS), N-SIM S represents the next step in live-cell imaging. N-SIM S can be easily combined with various imaging modalities including N-STORM Super Resolution which provides single molecule level resolution, confocal (e.g. 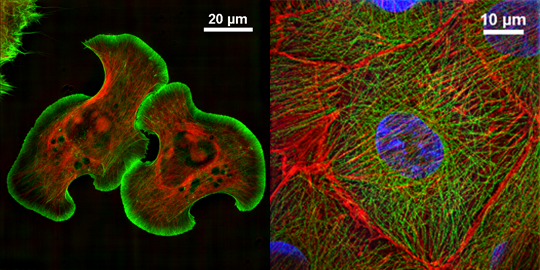 A1+ Confocal series), and standard wide-field observation. N-SIM S is compatible with a wide range of objectives providing a robust system for imaging a wide variety of specimens. N-SIM S is powered by NIS-Elements, Nikon's universal image acquisition and analysis software with advanced tools for designing custom acquisition and analysis flows, as well as powerful data visualization and presentation tools.